“Midnight in Paris” is an unexpected hit. Maybe it’s because Allen finally remembered how to make us laugh – and care. Woody Allen is a "Midnight" success story. 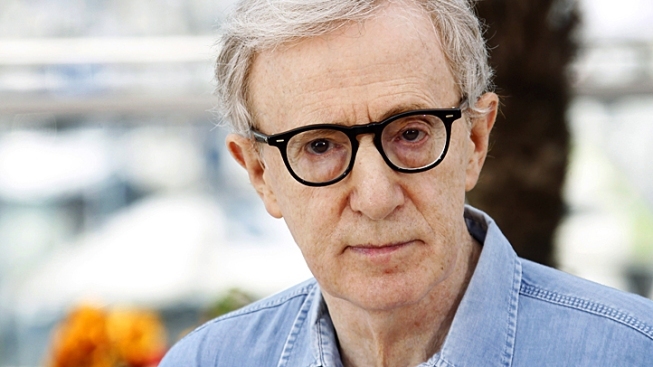 How’s this for a comic ironist who once said, “Tradition is the illusion of permanence”: It took a film about the charms and ultimate folly of living in the past to give Woody Allen his best, most successful movie in years. “Midnight in Paris,” Allen’s sweet and funny cinematic love letter to nostalgia and the City of Lights, went into wide release this past weekend – becoming his first movie to play on more than 900 screens in nearly a decade and finishing No. 8 in the box office rankings. The success of “Midnight” might be unexpected, given how Allen's films generally have played little beyond the art-house crowd in recent years. But watch this wonderful movie and all will make sense: The overly prolific Woodman finally remembered how to make us laugh – and care – again. The film features Owen Wilson as a disillusioned screenwriter who – through Allen whimsy not seen so well-executed since 1985’s “The Purple Rose of Cairo” – pays nightly visits to his Jazz Age expatriate heroes. The Fitzgeralds, Gertrude Stein and Ernest Hemingway, among others, pop up during a visit to Paris with his shallow fiancée and her stuffy parents. The Texas-born Wilson channels the old-school Allen character, giving us comic doses of neuroticism and self-doubt, tempered with boyish enthusiasm that lets us live the adventure with him. He’s the rare redeeming Allen creation who actually seems able to let go and enjoy himself, if only briefly. The 1920s literary and artistic figures Wilson’s Gil Pender encounters are hilarious cartoons (Adrien Brody’s cameo as Salvador Dali stands out among several fine performances). But the story’s heart – and there’s more pure, unabashed heart on display here in any Allen film since “Broadway Danny Rose” in 1984 – is rooted in Pender’s relationship with a beautiful artists’ muse (a brilliantly understated Marion Cotillard) who harbors creative dreams and romanticizes a past era of her own. “Midnight” is probably Allen’s funniest movie since 1994’s “Bullets Over Broadway” (though we still are fans of the underrated “Deconstructing Harry,” whose cynical, self-destructive title character utters the “Tradition is the illusion of permanence” line), and the first one with characters well worth giving a damn about since “Sweet and Lowdown” in 1999. Don’t get us wrong – Allen has made some relatively strong comic films amid unmitigated disappointments like “Melinda, Melinda” and “Whatever Works.” “Vicky Cristina Barcelona” (Allen’s last modest box office success) and “You Will Meet a Tall Dark Stranger,” work as serio-comic looks at upper-class couplings and uncouplings. But his sometimes thinly drawn characters rarely invite substantial emotional investment, despite some great performances. New York Press critic Armond White panned “Midnight,” but made one strong point that we’ll agree with: He notes that Allen too often “confuses class achievement with intellectual prowess” in his protagonists. It’s probably too much to expect that he’ll go back to telling funny stories about regular folks (though 2000's “Small Time Crooks” marked a noble attempt). Allen doesn’t always find the right mix of humor and humanity to make a wide audience care about his foible-filled, morally conflicted, largely over-privileged characters (as he did, in say, “Hannah and Her Sisters”). Much of the success of “Midnight” rests in Pender, who is successful on some level. But he’s an outsider in his own world, a refreshingly unpretentious latter-day Allen creation who dreams of leaving Hollywood behind, living in Paris and finishing his novel. His search for inspiration is a journey worth following across time. Allen seems to have found renewed inspiration himself in both his most mature and simply rendered meditation on creativity and the tricky power of the past, wrapped in a sweet, funny and winning package. “Midnight” is Allen’s time. Perhaps that’s because he finally seems to realize, as a fellow American, Jerry Herman, put it in a lyric for another great work set in France (“La Cage Aux Folles”), that the best of times is now.